I limped into Hanoi still feeling out of sorts from the parting gift of Giardia that Nepal had been kind enough to bequeath to me. I arrived at my hotel at close to 11 pm and quickly took to the narrow streets of the Old Quarter to track down a late dinner. I didn’t have to go far and that’s one of the many great things about Hanoi. 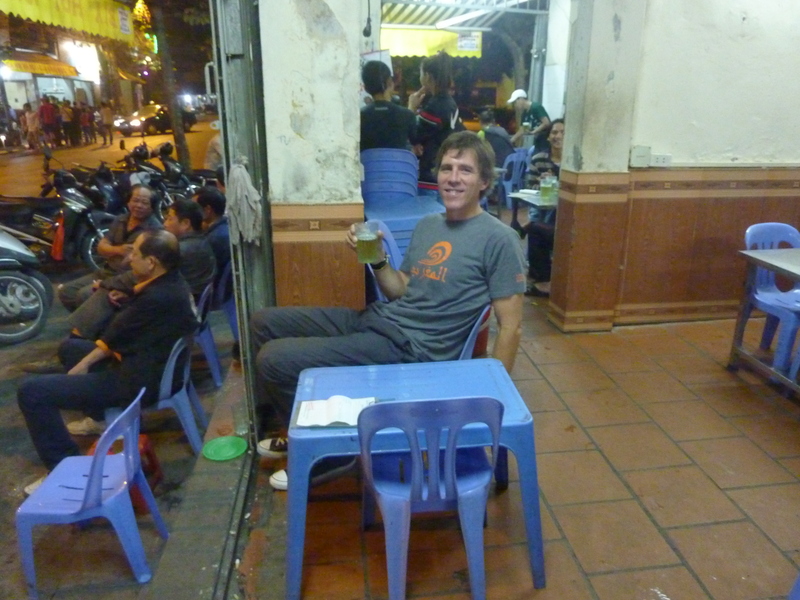 Within 5 minutes of leaving the front door of my hotel, I was happily seated on a tiny plastic stool on a random street corner slurping away on the best bowl of pho I’d ever had. It was pure heaven for my unsettled stomach. And my tastebuds too. 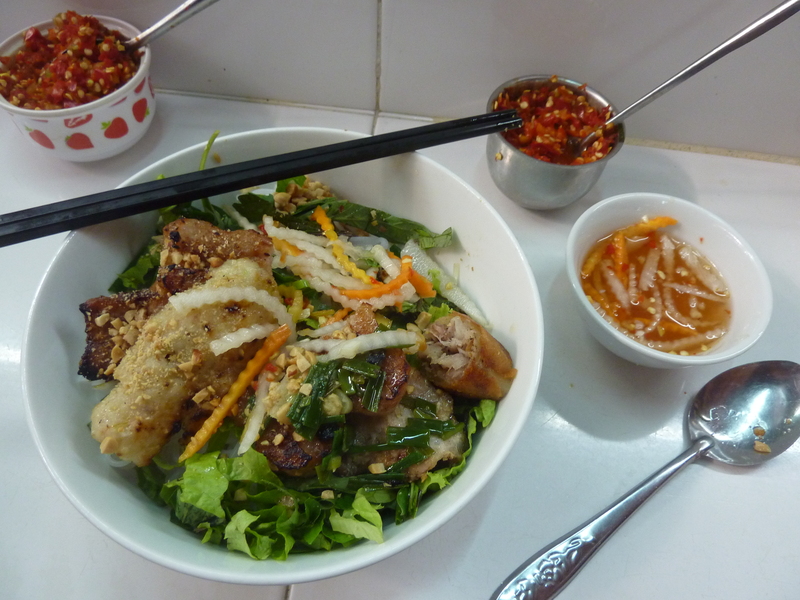 It was a fitting welcome to Hanoi and Vietnam as both city and country would prove to be flush with great food. Not the bowl of pho I ate upon arrival. But a solid bowl nonetheless. 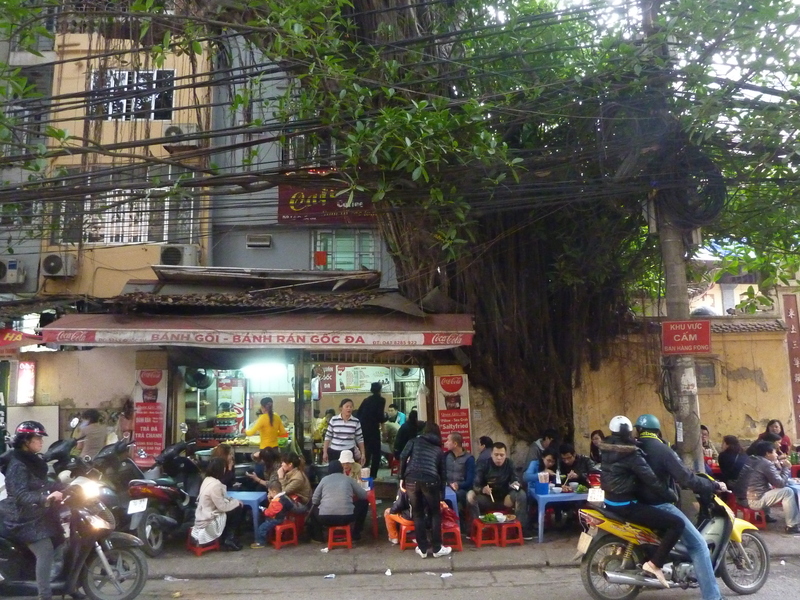 I spent close to a week in Hanoi with much of that time devoted to wandering the lively and sometimes chaotic narrow streets of the Old Quarter and sampling a good amount of delectable food along the way. 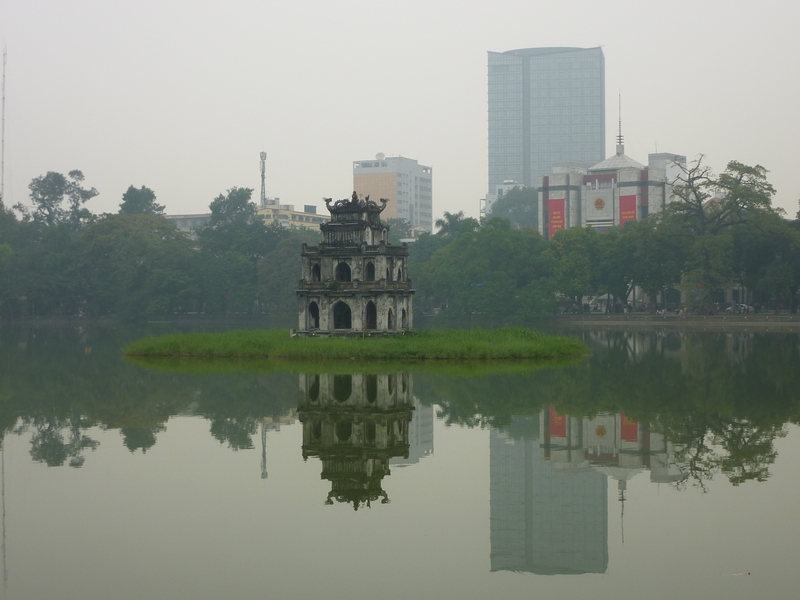 It was grey and cloudy for most of my stay in Hanoi but the city managed to shine nevertheless. 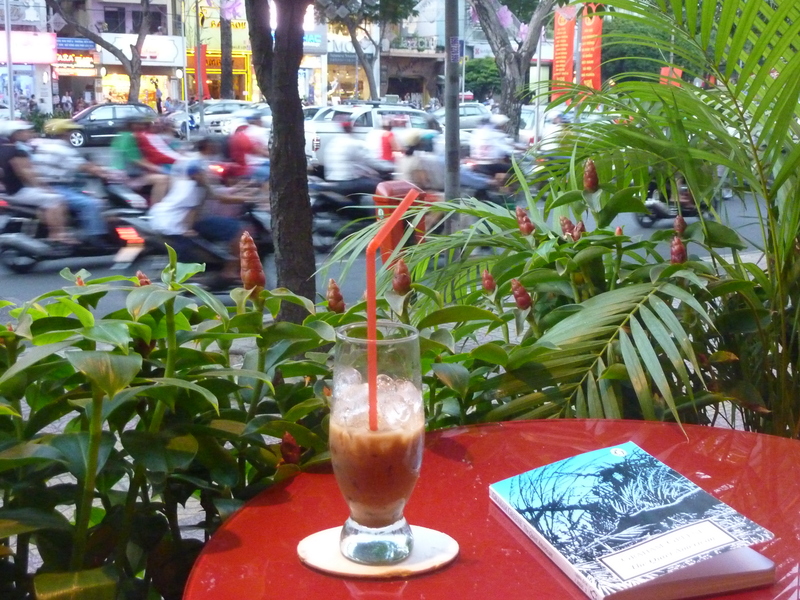 Most afternoons involved a break or two at one of the many simple sidewalk cafes found all over the Old Quarter where I would watch the world go by while sipping a wonderfully strong coffee served up with sweetened condensed milk. When served over ice they are known as a ca phe sua da and when served piping hot, a ca phe sua nong. They are delicious either way. 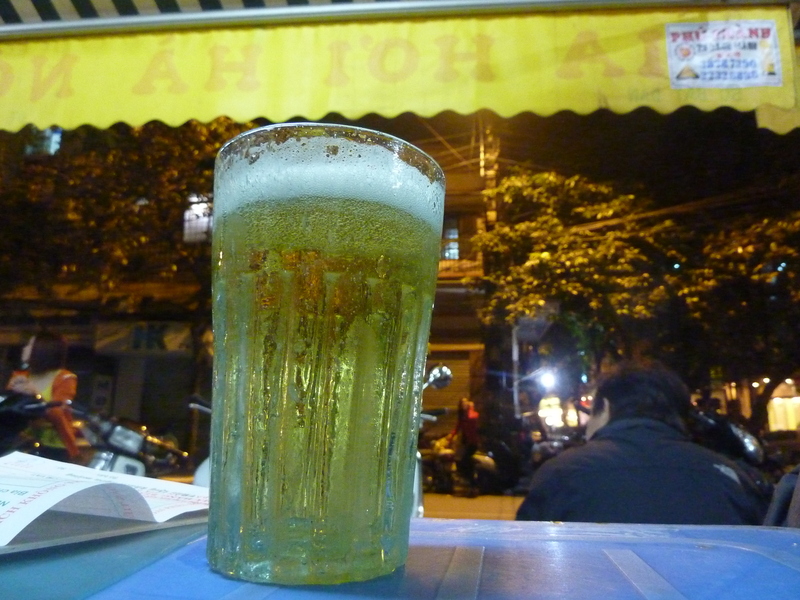 The price of that glass of bia hoi shown above? 7000 dongs which translates to about 33 US cents. Hence its reputation as the cheapest beer in the world. 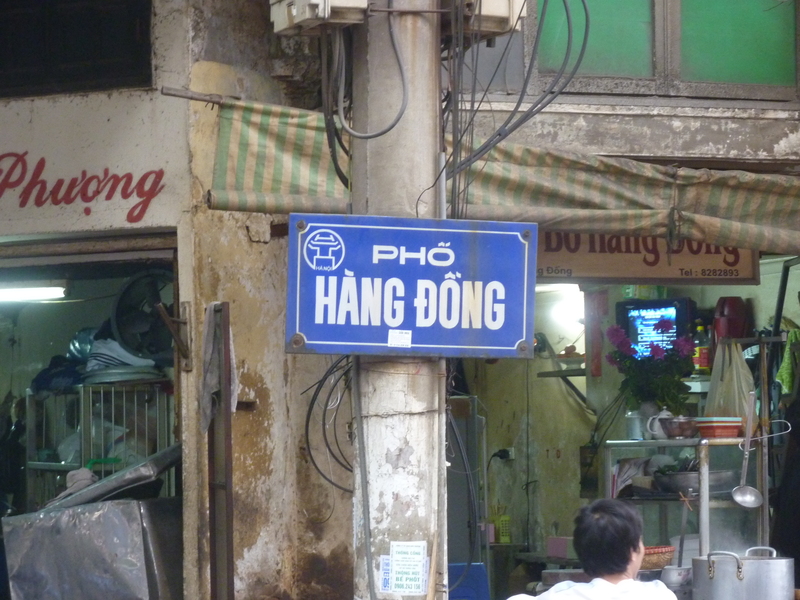 And don’t think I didn’t make plenty of jokes about the name of the Vietnamese currency while I was in Vietnam including referring to it in the plural as dongs. Xin chao! How many dongs for a roasted dog? 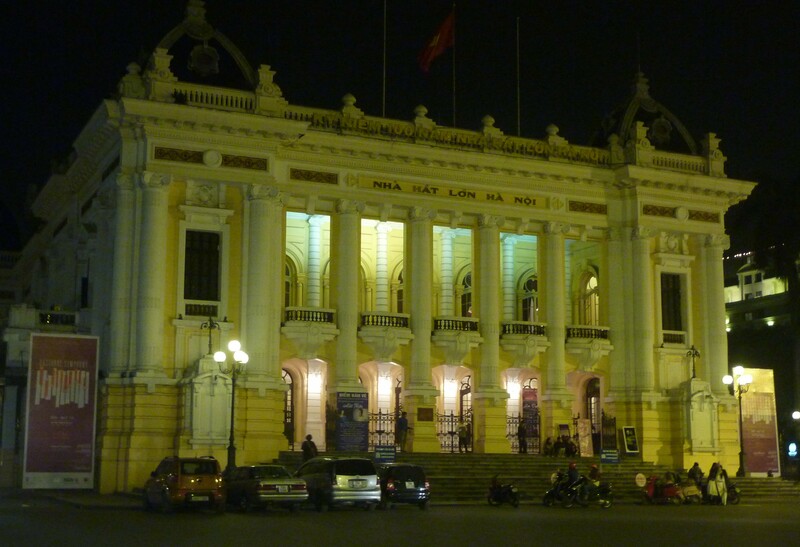 I visited the Hanoi Opera House one night for a dose of thoroughly non-Vietnamese music (Beethoven’s Pastoral Symphony to be exact) courtesy of the Vietnamese National Symphony. They rocked it as far as my ears were concerned. But the music wasn’t the only impressive part of the evening. The Opera House was impressive in its own right. The French finished building it back in 1911. 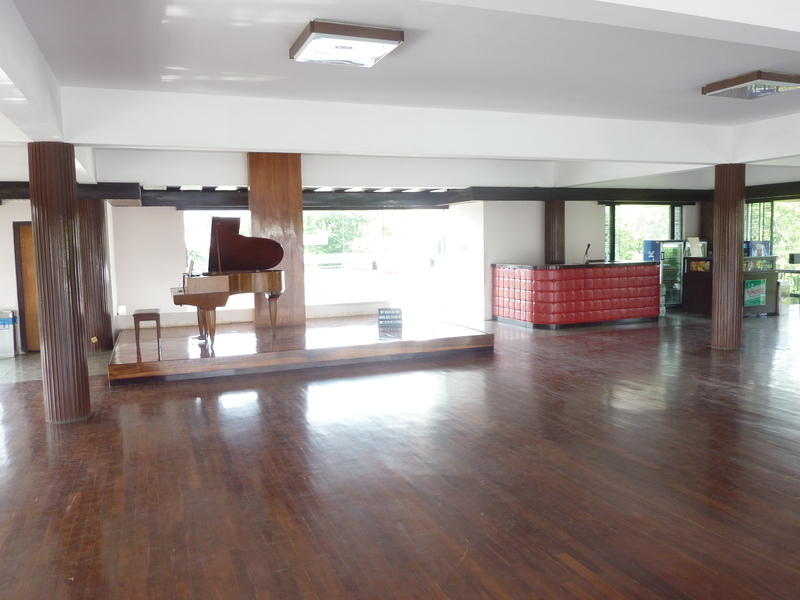 It’s a beautiful old building. I had wonderful seats that set me back all of about $10. 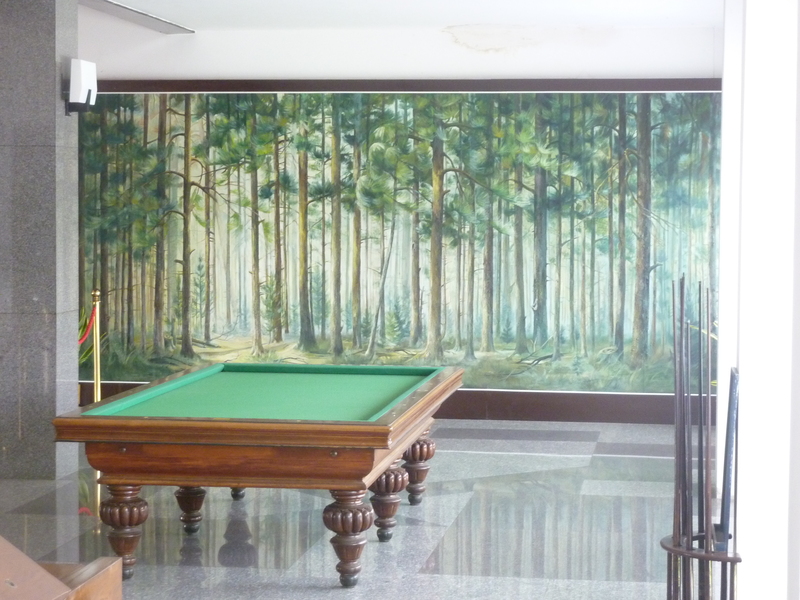 It was a great evening for many reasons… not least of which was when I went out for intermission the first thing I saw in the corridor was two old Vietnamese gents happily puffing away on their cigarettes under a No Smoking sign. 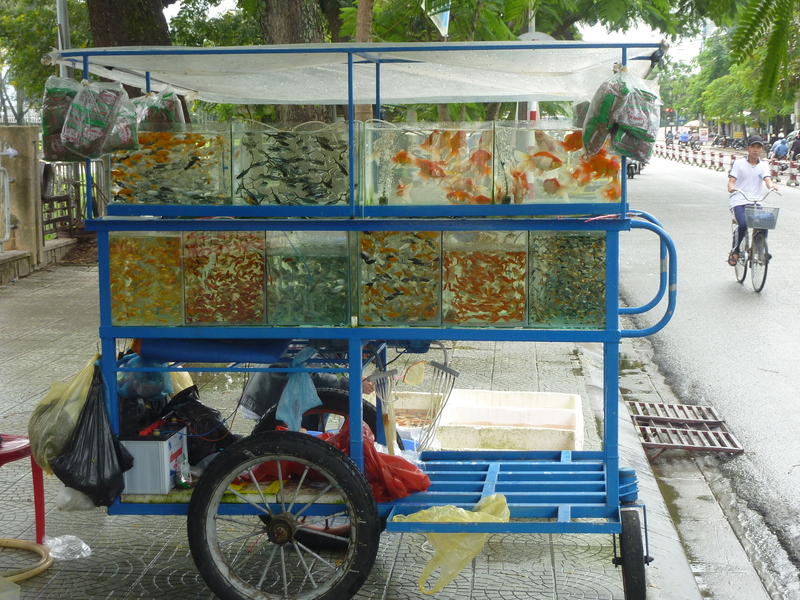 Aside from that awesome aquarium fish cart, there just didn’t seem to be much happening in town unlike in Hanoi. 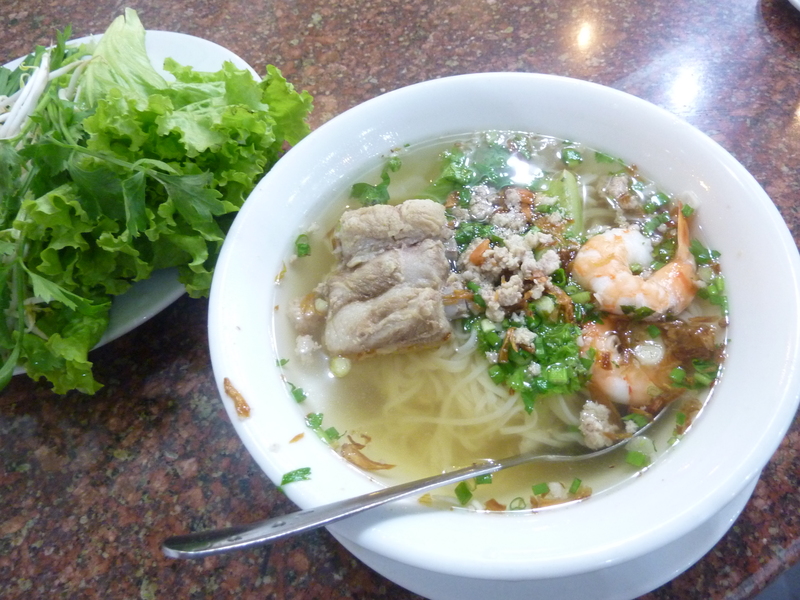 I also had trouble finding delicious food in Hue, something that wasn’t an issue for me anywhere else in Vietnam. If I had to do it again, I’d probably say no Hue. 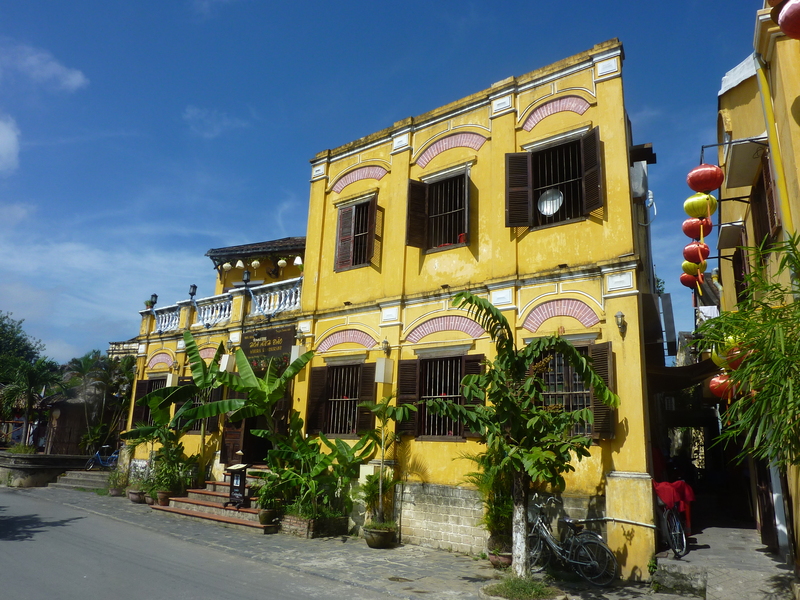 There’s no doubt about it… Hoi An is touristy. 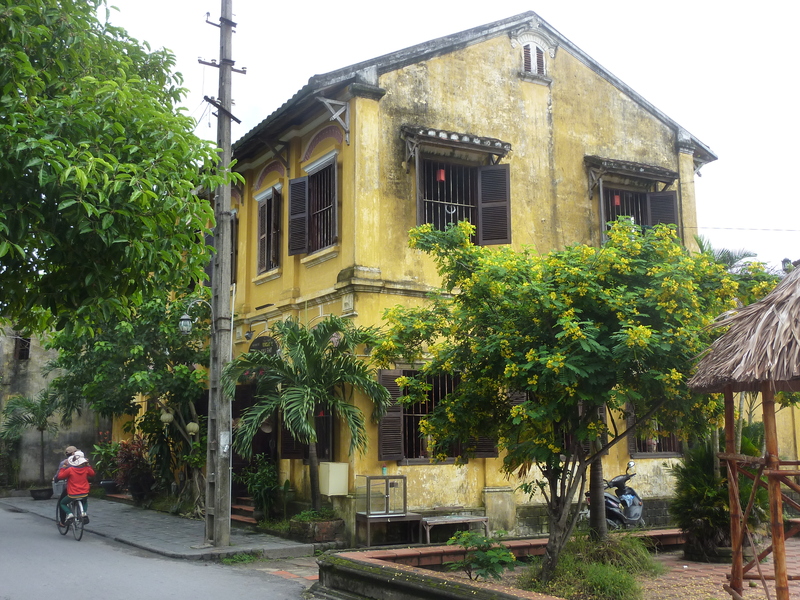 But it’s also beautiful with a stock of cool old buildings in a compact area of several square blocks by the Thu Bon River. 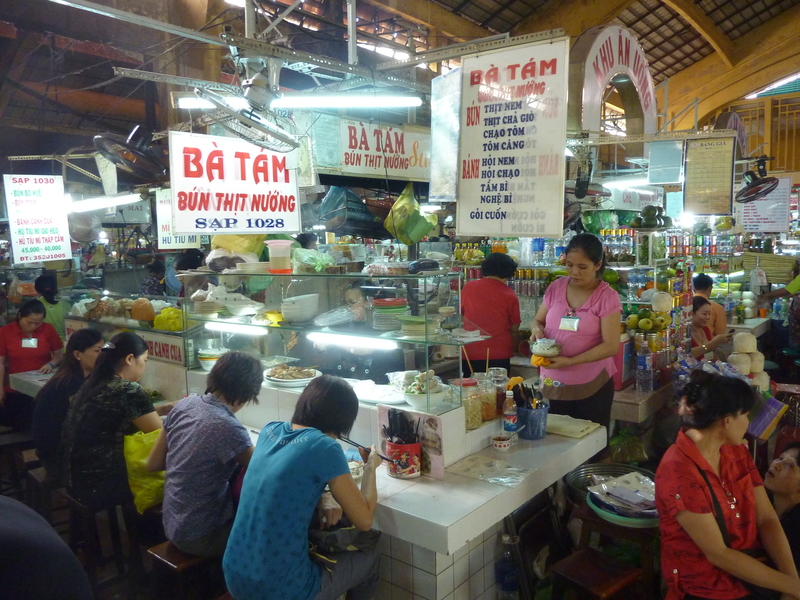 A few families still live in the area and I suppose there are a few non-touristic businesses like a small market. 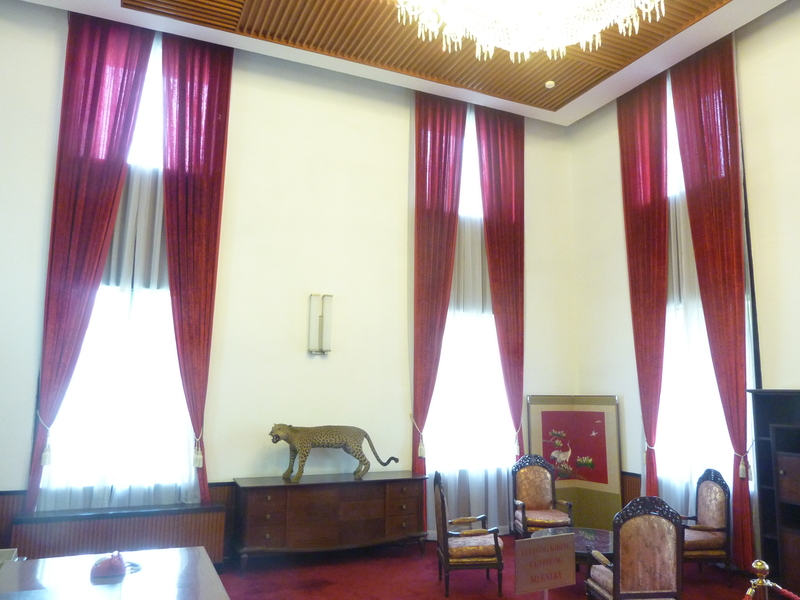 But by and large most of the structures house tailors, restaurants, tailors, cafes, tailors, souvenir shops, tailors and a variety of other plays for tourist dollars, pounds, euros and yen. But even with the infestation of tourists and those wishing to tailor to them, it’s still a relaxing town that’s fun to explore on a bicycle. 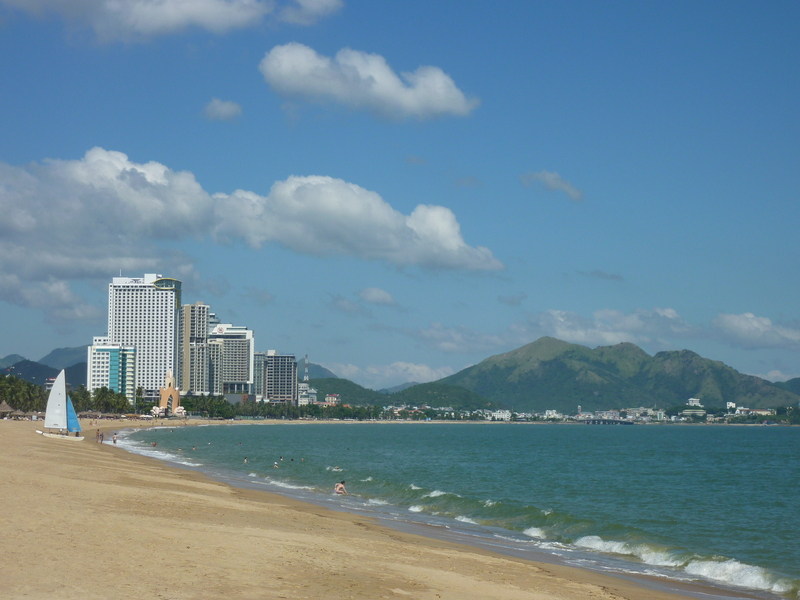 I made the bicycle ride out to Cua Dai Beach one afternoon and was quite surprised at how nice it was. I hadn’t heard many positive reviews of the beach but it seemed clean and was quite beautiful in the late afternoon sun. Plus there were some thoroughly decent bodysurfable waves rolling through which made my first ever dip in the South China Sea a very good time. It’s also very Russian… at least in the tourist areas where Cyrillic script adorns many a sign. Apparently the Russians operated a large naval base in the area for many years and thus the town still has strong ties to the country. In fact, the beaches were filled with Russians in very small bathing suits. Unfortunately, most of those Russians in small suits were named Igor or Ivan rather than Svetlana or Tatiana. 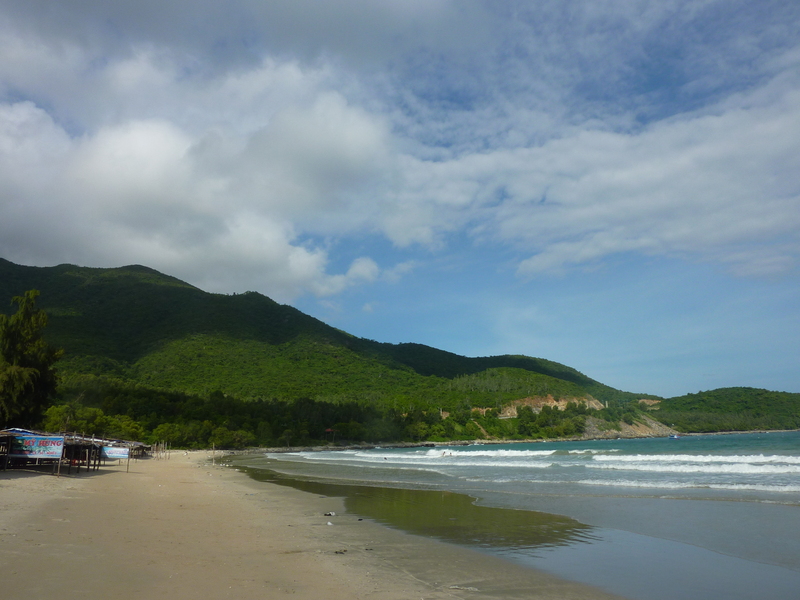 Bai Dai is a mostly undeveloped stretch of sand without a single hotel in sight… although that looks to be changing so you might want to get on it now if it’s of interest to you. 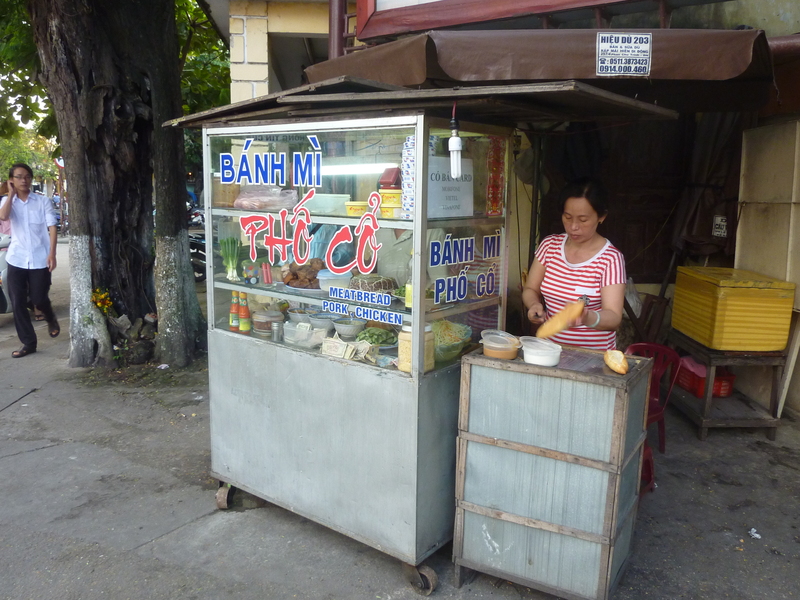 The north end of the beach is lined with a row of open air wooden shacks serving up fresh seafood and cold Bia Saigons. I found one co-owned by a dude from Arizona and posted up in a comfortable chair for the afternoon and occupied myself with the eating of fresh fish, the drinking of cold beers, the reading of Norman Lewis’s excellent A Dragon Apparent and the bodysurfing of the smallish waves making their way into the bay. I actually had hopes of renting a surfboard and getting a few waves but there wasn’t enough swell in the water to merit a go. I was told that at times it gets quite good towards the southern end of the bay and it seems that there is a small crew of mostly expat surfers that take to the water when that’s the case. Apparently crowds are never an issue which sounds like just my kind of set-up. I certainly would not be opposed to a return visit sometime when there are waves to be had. Actually, come to think of it, I’d welcome a return visit even if there weren’t waves to be had as the quiet beach, warm water, tasty seafood, comfortable lounge chairs and cold foamers are enticing enough on their own. 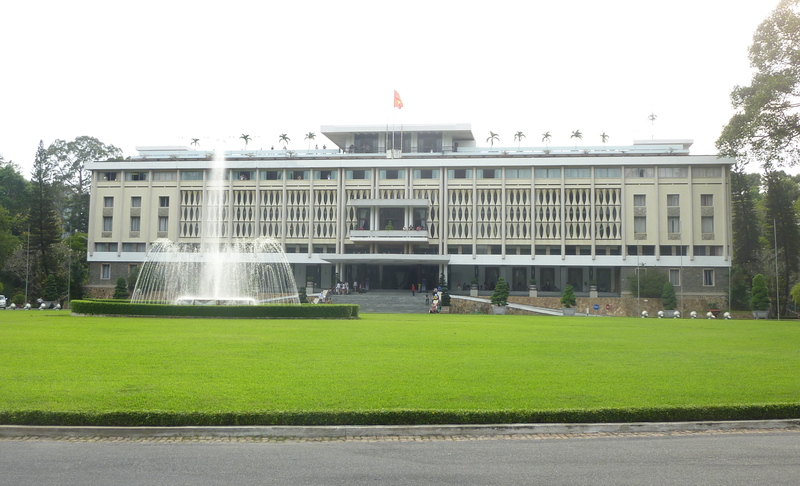 Saigon/Ho Chi Minh City was my final stop in Vietnam. 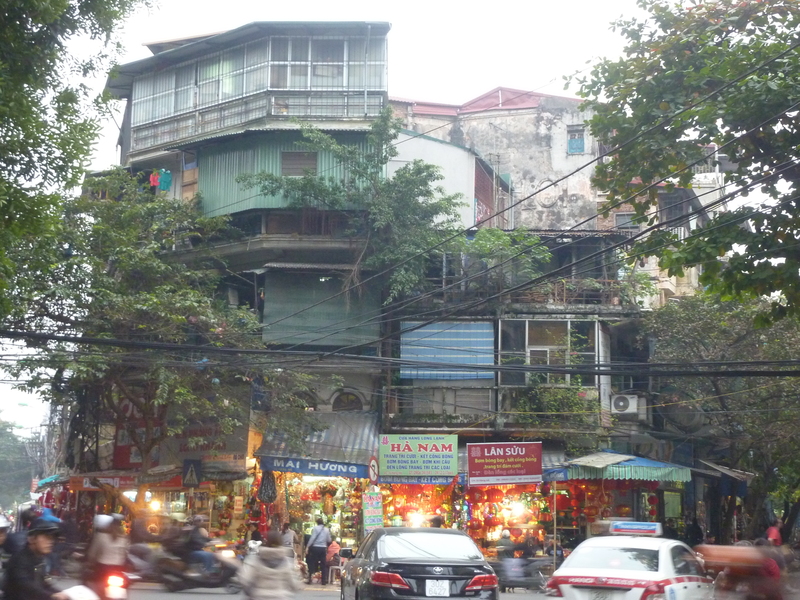 As with many other places in Vietnam, I’d heard mixed reviews about Saigon. Many people made it known to me that they did not care much for it and dismissed it as just another loud, dirty, traffic-choked, overcrowded Southeast Asian city without much to distinguish it from other big cities in the region. But that wasn’t my experience at all. I dug Saigon. Yes… it’s a big city and it’s modern in many ways. So if that’s a turn off for you then you might not feel similarly. 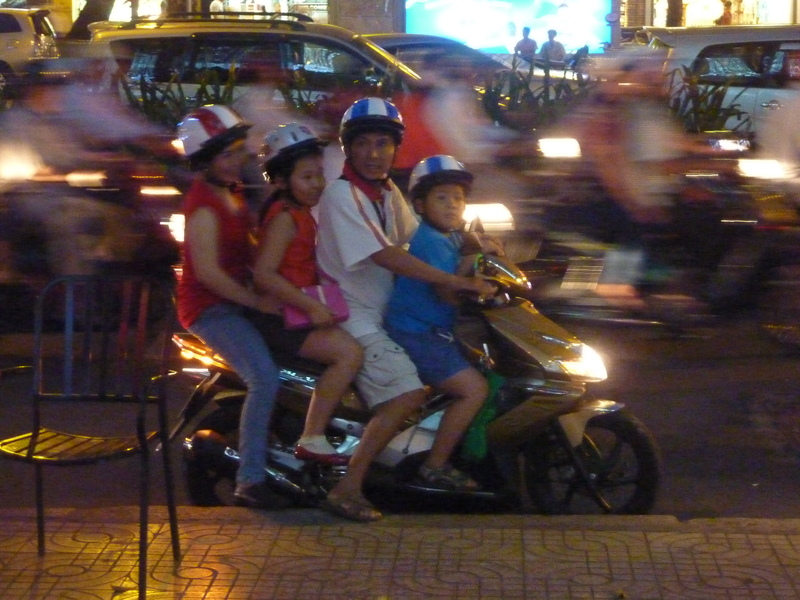 And yes… the motorbike traffic is absolutely insane. But it’s great entertainment when viewed from a table at a sidewalk café strategically placed near a high volume intersection. And it really isn’t that hard to navigate as a pedestrian once you get comfortable taking the plunge into that teeming sea of motorbikes. You will find that if you move confidently, slowly, predictably and steadily when crossing a busy street, a path will reveal itself and the motorbikes will find their way around you… even if there are four (and sometimes more!) people on some of them. Somehow it all just seems to work… at least it did for me. 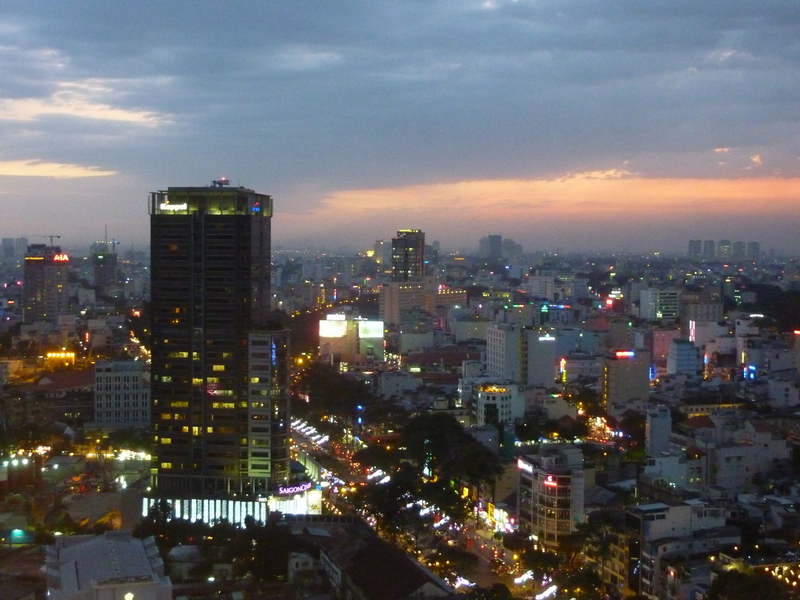 Saigon has an undeniable buzz about it. It felt optimistic and alive with creative energy, both of which might account for the presence of what appeared to be quite a few recently opened businesses. They seem to have embraced capitalism and consumerism, and all their attendant evils, with a fervor that must have Uncle Ho weeping in his grave. It may or may not be for the best. But it certainly makes this booming city an interesting place to be right now. There may be no better evidence of Saigon’s embrace of consumerism than the enthusiasm with which the residents were celebrating the lead up to Christmas. The shopping districts were decked out in decorations similar to what we have back in the US. And those girls weren’t the only ones rocking festive attire as I saw young children everywhere sporting mini-Santa outfits which I guess is what happens when the Vietnamese put their own little spin on Xmas. 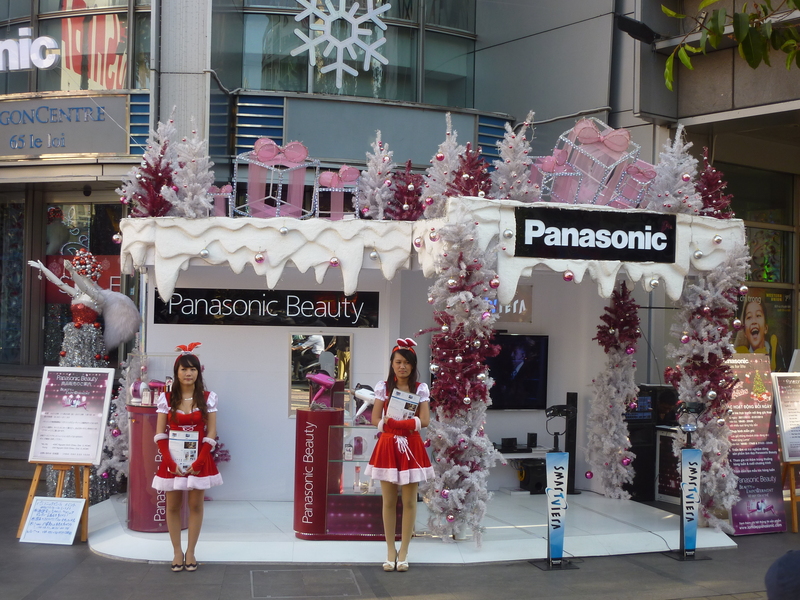 There were other variations as well, the most striking of which to me was the taking of tons and tons of pictures while posed in front of high-end boutiques tricked out with holiday decorations. Most of the shutterbugs were parents shooting their children and teens shooting other teens. 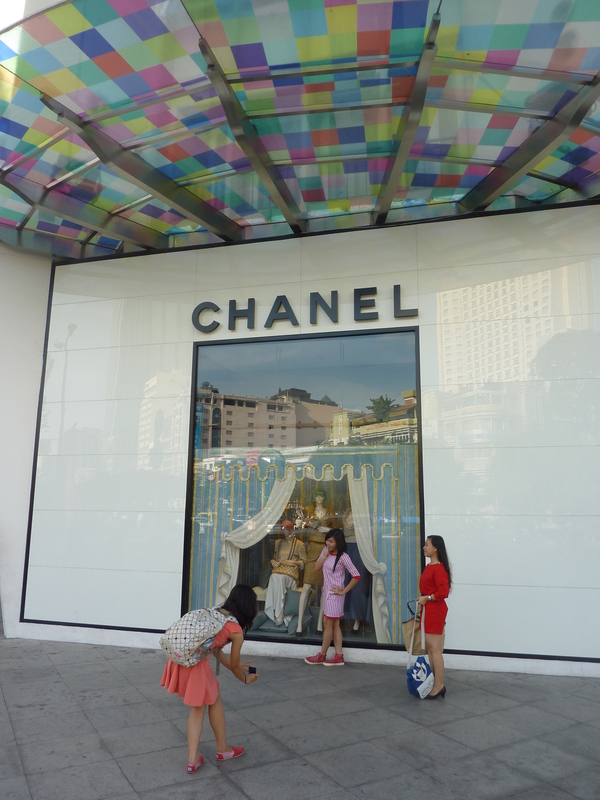 Many storefronts were mobbed with picture takers as they jockeyed to have their photos taken in front of display windows containing the latest in unnecessary consumer products. 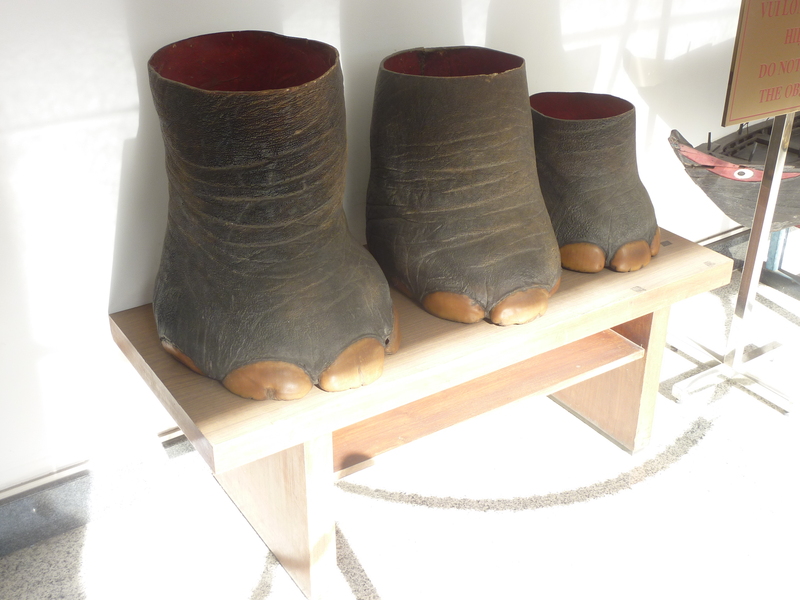 And the more expensive the products on offer in a given shop, apparently the more desirable it is as a photo backdrop. 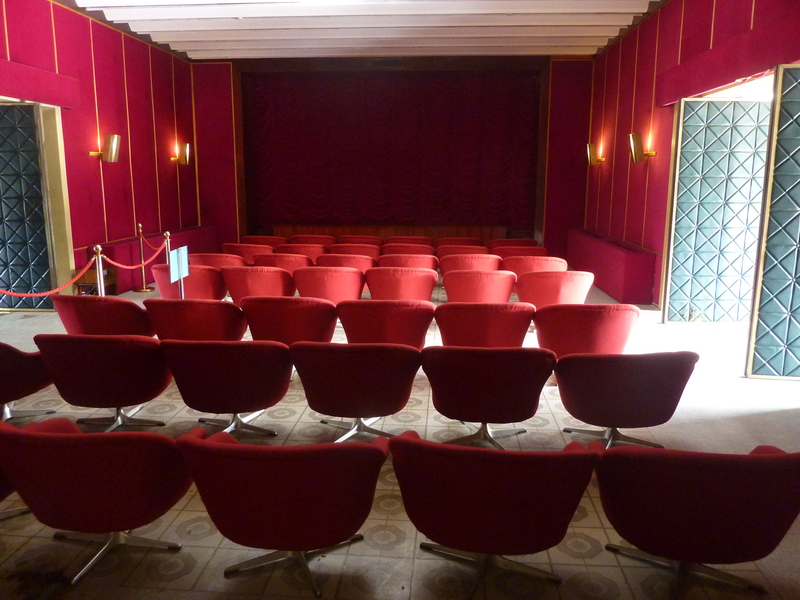 I tend not to like many of the places thought of as tourist attractions in this part of the world, something that’s probably readily apparent to any of you who have spent much time thumbing through the pages of this blog. 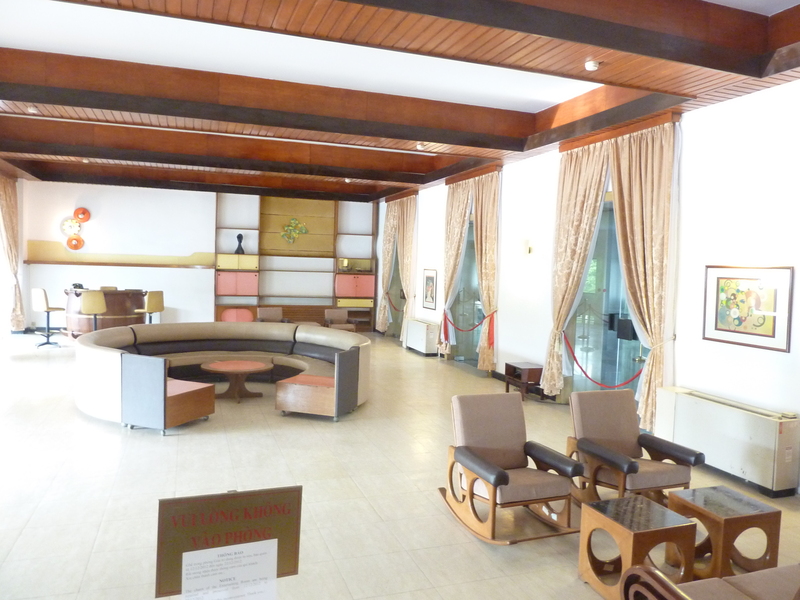 But Saigon has two such attractions that buck the trend and they do so decisively. 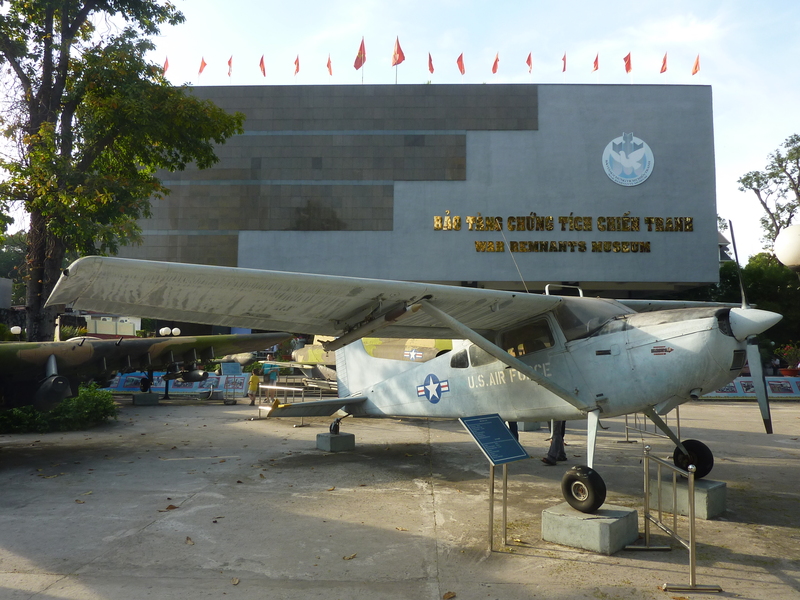 First up is the War Remnants Museum. It presents a fascinating look at the French and American wars with the primary focus being on the latter. There are some stunning exhibits here with the most powerful being an exhibition devoted to wartime photographers (many of whom died in the field) and their photographs and another exhibition devoted to the horrifying effects that Agent Orange and other defoliants have had on the Vietnamese population. It’s heavy stuff indeed. Yes… that’s a stuffed leopard. Or maybe a cheetah. I don’t know. 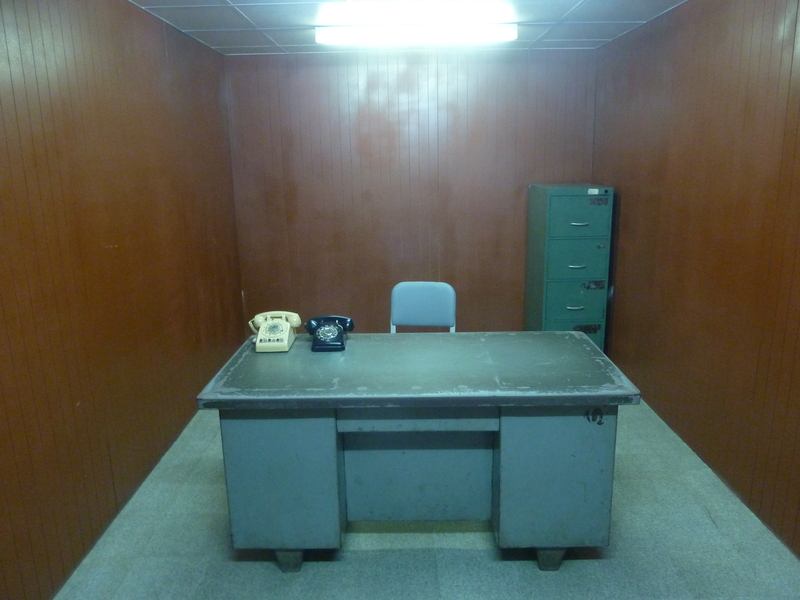 The place feels like a set for a Connery-era Bond film and that’s certainly a good thing. 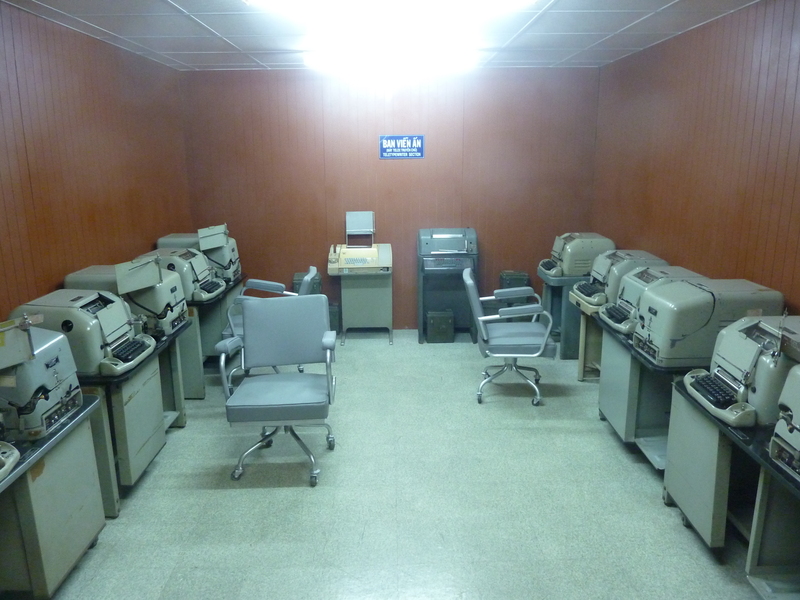 The basement still contains much of the presumably cutting edge technology used by Vietnamese intelligence officers back in the 60’s and 70’s. 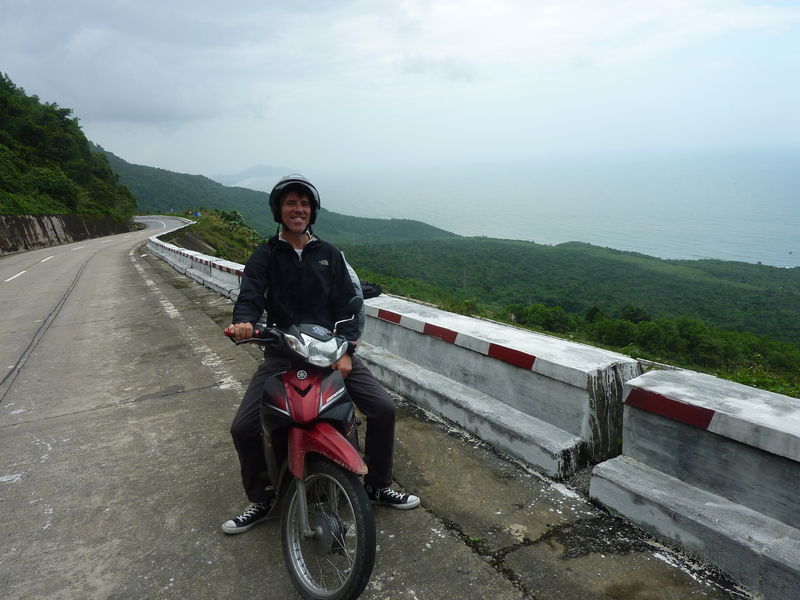 I heard quite a few uninspiring reviews of Vietnam in talking with other travelers prior to and during my trip. 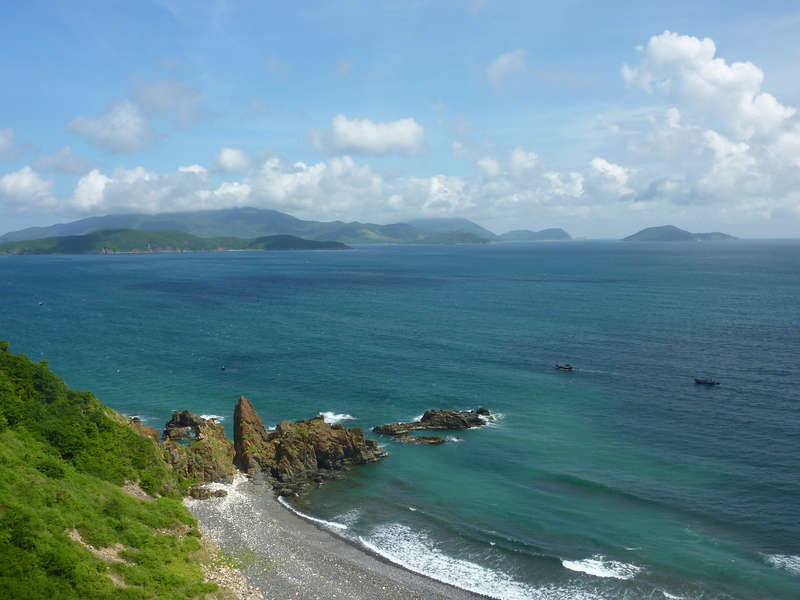 Many who had visited multiple countries in SE Asia said it was their least favorite. 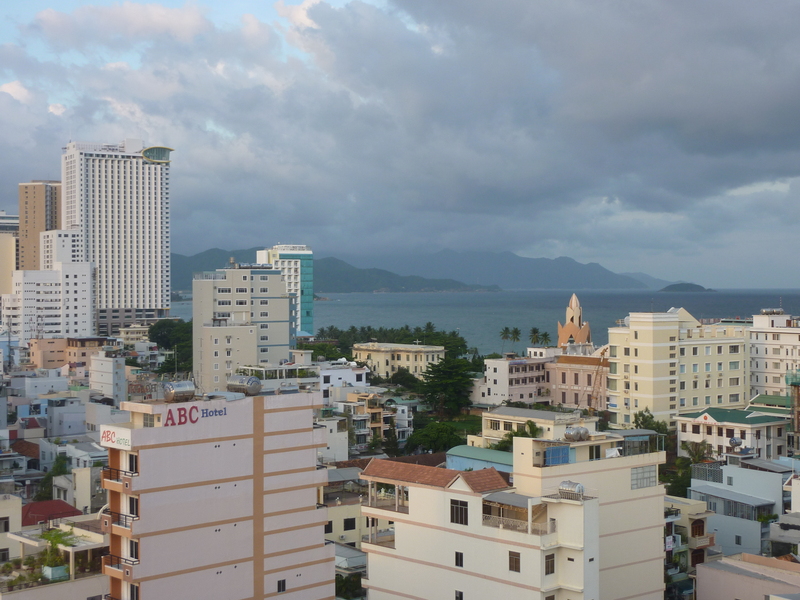 There seems to be a feeling among some backpackers that the Vietnamese aren’t as friendly or chatty as the Lao or Cambodians or Thai. And , compared to their neighbors, they’re too aggressive and pushy and always out to screw you when you do business with them. Some attribute it to the fact that it’s not an overwhelmingly Buddhist country like its neighbors, and/or the fact that it’s been very poorly treated by a litany of foreign occupiers throughout its history. I’d imagine that there is something to both of those theories. In fact, as to the latter, I would think that the question of whether to try to overcharge a Frenchie or a Yank should be one of Why not? rather than Why? given the sordid history of those two countries in the region. But that wasn’t my experience at all. Well… maybe all but the pushiness and that was limited mostly to queues which are better classified as scrums or free for alls in Vietnam. 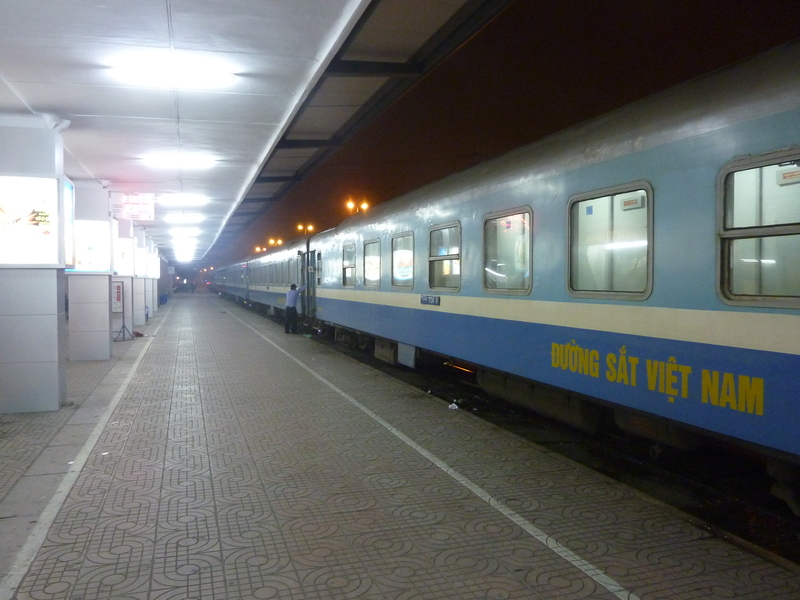 The typical Western notion of a line in which order is dictated by time of arrival would appear to be an entirely foreign concept to the Vietnamese. Aside from that they seemed no different to me than the Thais or Cambodians in their assertiveness or their approach to business. The Lao, on the other hand, were indeed much less the hustlers and seemed perfectly happy to do without the extra buck or two to be had by driving a harder bargain. I would say that I got the short end of the stick in Thailand far more often than in Vietnam. 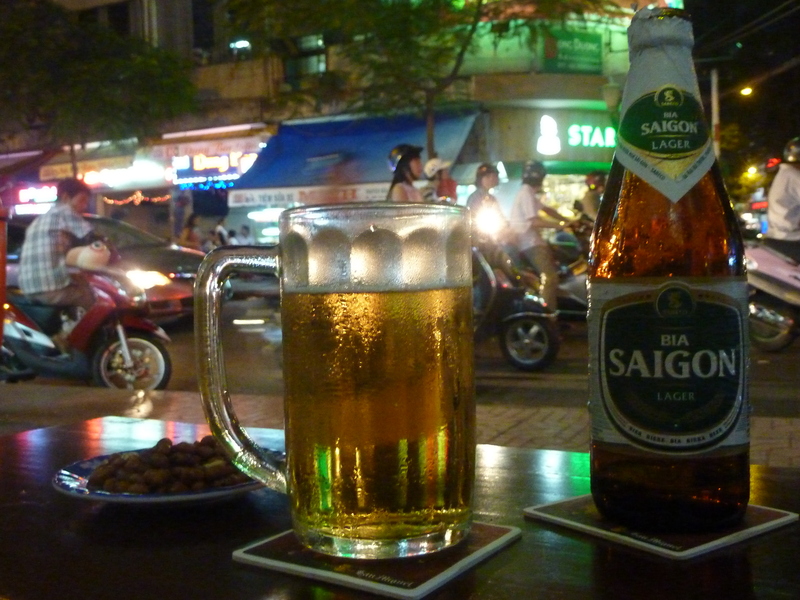 Perhaps I just did a good job of steering clear of the most notorious areas for tourist scams in Vietnam (Sapa, Halong Bay, etc.). 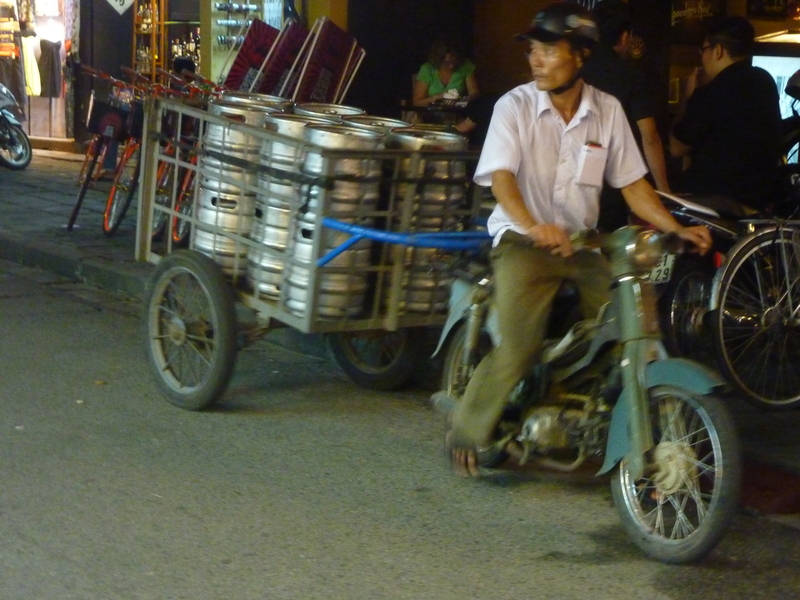 Or maybe I just drove a harder bargain in Vietnam. Or perhaps I was just lucky. Who knows? I also found the Vietnamese to be open and eager for conversation, particularly the 30 and under generation many of whom speak great English. 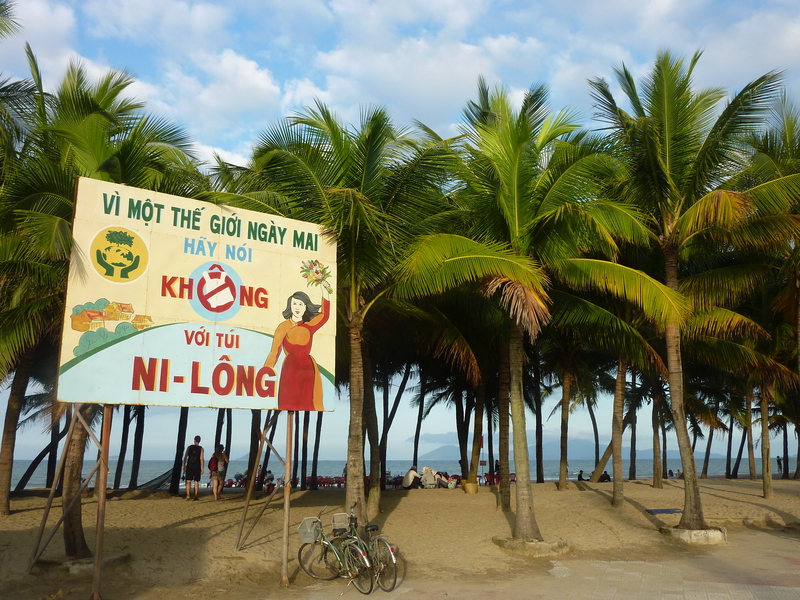 The Vietnamese seemed to be much less timid in trying to speak with you even if they had very limited English skills. Perhaps that’s an upside to the assertiveness that turned off some people. That’s not to say that people in other countries in the region weren’t eager for conversation. 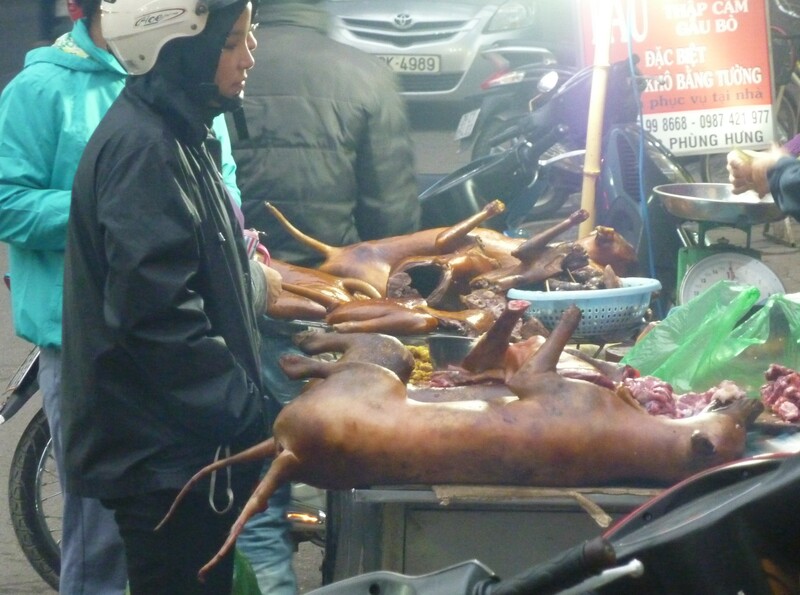 It’s just that I didn’t experience the supposed lack of such qualities in Vietnam. Vietnam has quite a bit going for it. An interesting history. 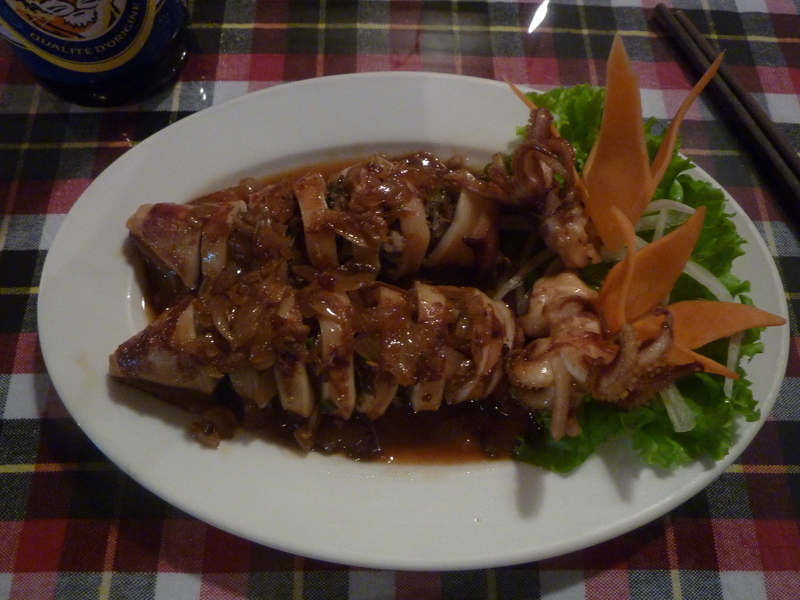 Tremendous (and cheap) food that runs neck and neck with Thailand for top cuisine of my trip. Some cool cities with buzz and energy. A diverse geography (much of which I didn’t have time to visit on this trip) including miles upon miles of coastline which is always a plus for me. A decent rail network running along the coast – another positive for me as I fully dig on train travel. Strong tasty coffee and what were probably the nicest hotels within my target price range of any country I visited on the trip. 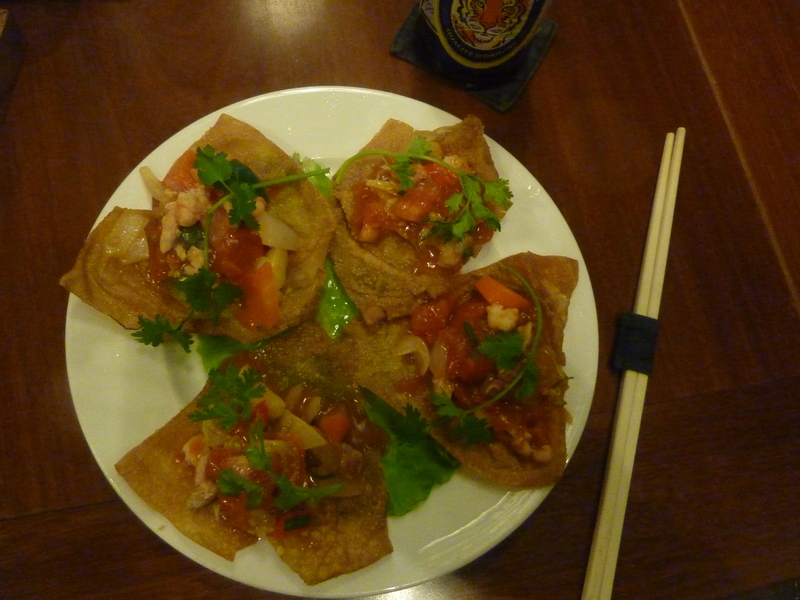 And, perhaps most importantly… they’ve got bia hoi! Hip hip bia hoi! Hip hip Vietnam!